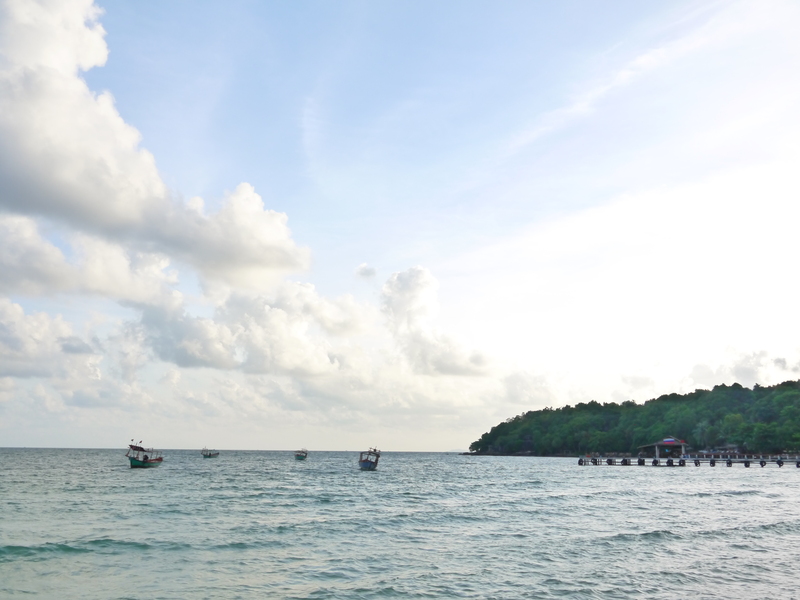 On yet another early morning we woke up early to take another public bus (still clean and spacious, this time double decker) to the tiny beach town of Sihanoukville in the South. If you don’t know the geography of Cambodia (and let’s be real, do any of us? 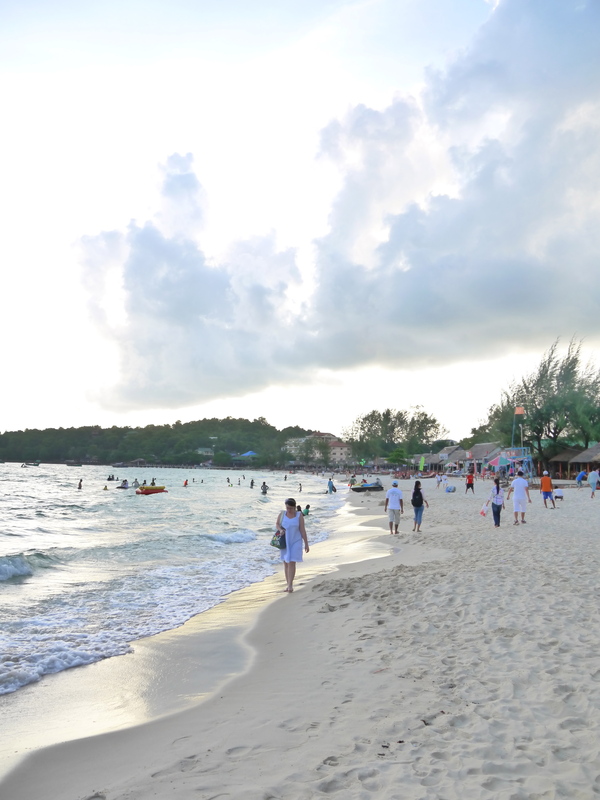 ), Sihanoukville faces South West, bordering the Gulf of Thailand which lets into the South China Sea. 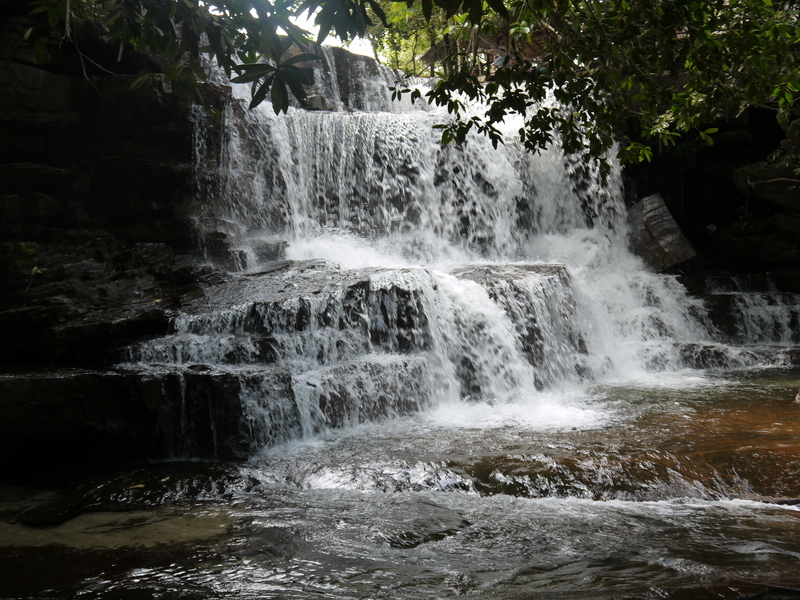 The water here is an oddly beautiful murky turquoise, its turbidity adding to the mystery and the enchantment. When we arrived to the sleepy village, we quickly realized that suddenly we were a majority. 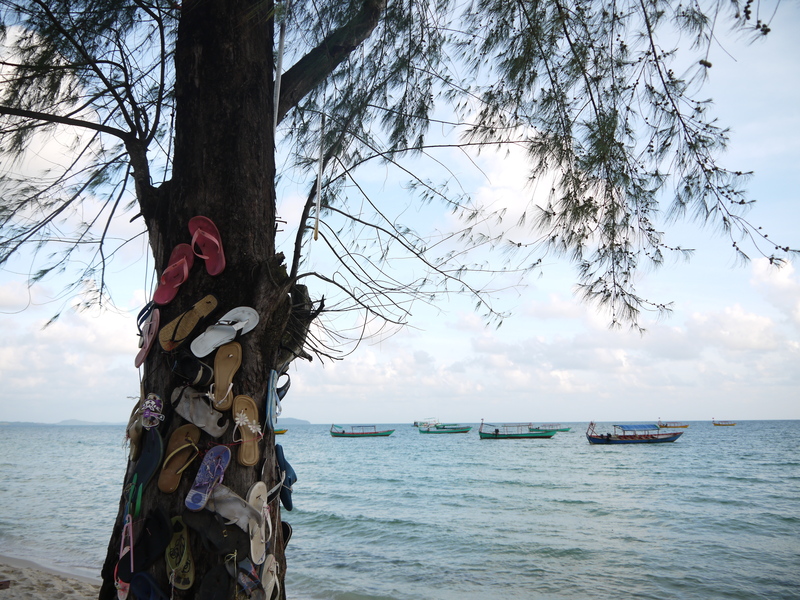 It seems that Westerners really latched on to Sihanoukville and as they rightly should have. The place is paradise. The town is small enough that it feels completely manageable and seems to depend on the constant drive of Western tourism. Since we are currently in the off season, the beaches were still populated, but not the least bit crowded, but instead dotted with dinner tables and comfy chairs looking out to the beach. 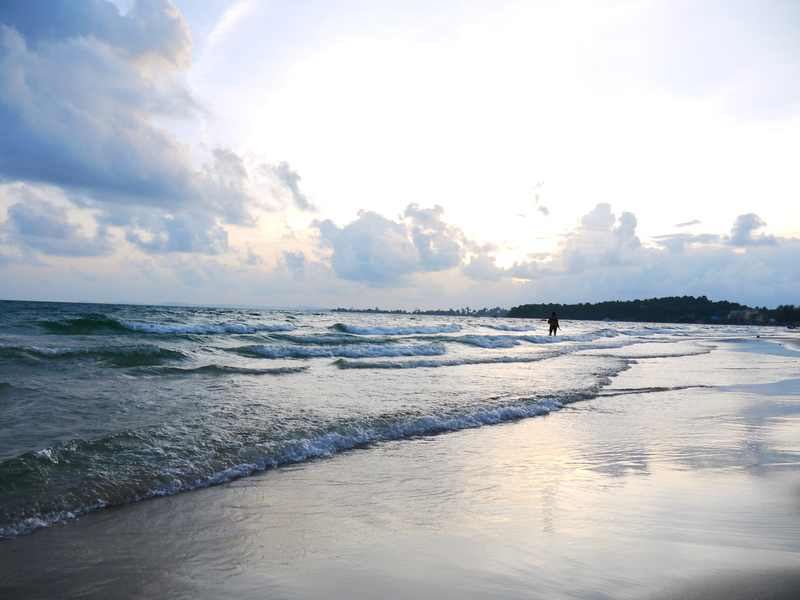 Since all anyone wants are the pictures, here are a few of the beach at sunset on our first night. Both nights there I spent an hour and half or two just walking along the beach at sunset taking pictures. See for yourself. Okay. So maybe I used a filter on some of these. It’s still beautiful! 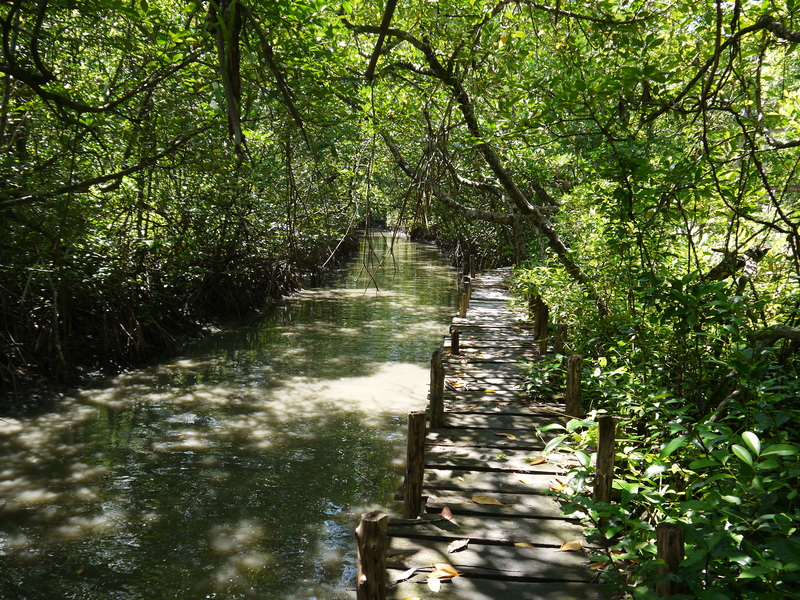 The next morning, we set out for an adventure through the mangrove forest. We boarded one of those small flat boats and pushed through up the river. After stopping at an overlook tower, we sailed on until we ran aground on a sandbar in the world’s warmest water. 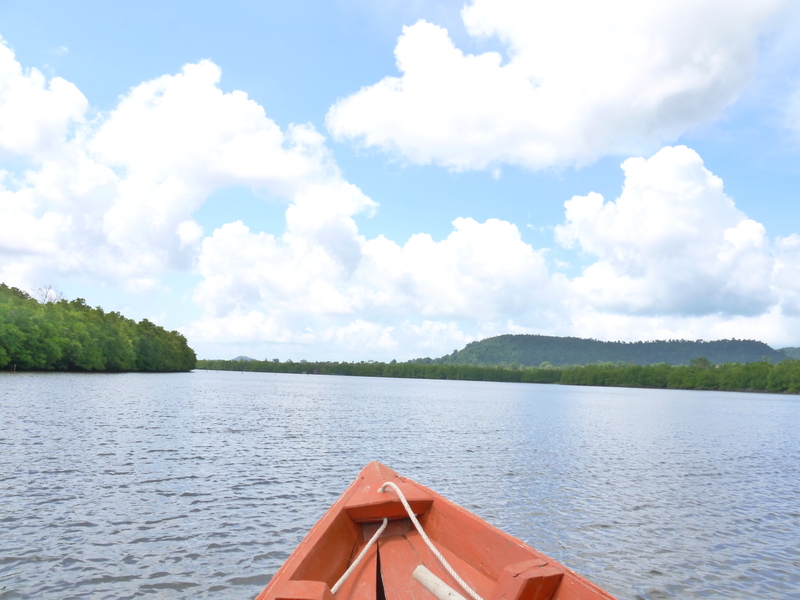 We waded ashore and then trekked through the jungle for about half an hour, passing a couple of small local houses and a school, all located in the Ream National Park. 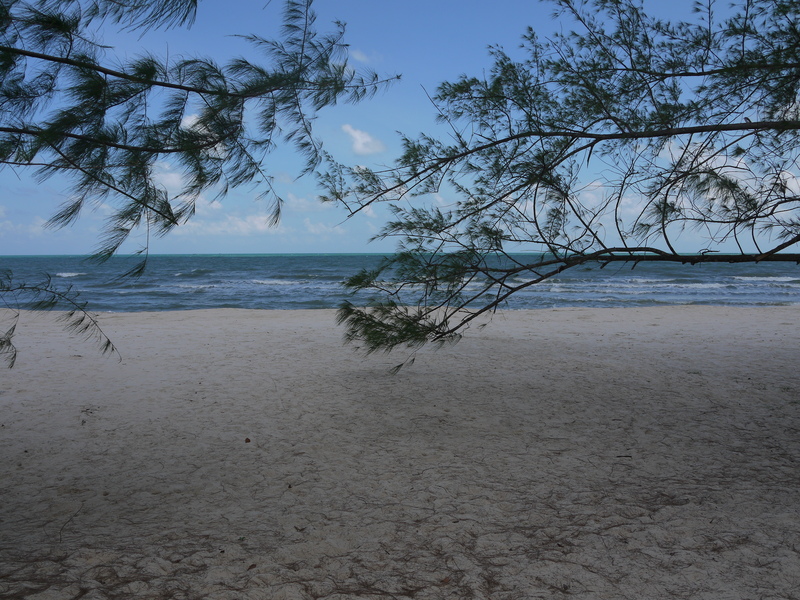 Finally, we emerged onto a private beach where there were tables and chairs and bar set up, but no other tourists. We had our own. private. beach. There certainly were no amazing clashes of cultures or any funny little anecdotes so this post, I’ll let the pictures do the talking. Once more, I’ve updated my Flickr so you can see even more photos if these are not enough.